Bottom Line: A lively and smooth black ale with great hoppiness. Black IPAs are dark brown to black in color and range in alcohol from 6-8%. 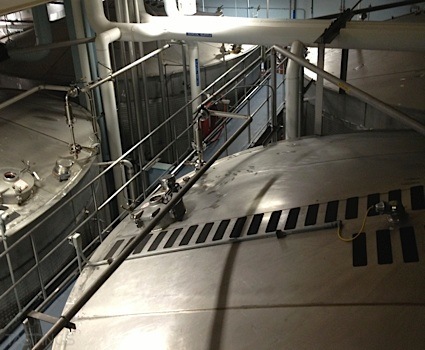 This style is also known as Cascadian dark ale or black India pale ale. These beers feature an intense hop aroma and flavor that is balanced by roasted chocolate and caramel malt notes. Originating in the Pacific Northwest, this relatively new style has quickly gained popularity amongst US craft brewers and IPA fans alike. Noteworthy examples of this style include: Stone Sublimely Self-Righteous Black IPA, Full Sail Brewing Bump in the Night Cascadian Dark Ale, Samuel Adams Dark Depths Baltic IPA and Lakefront Brewery Lakefront IBA. 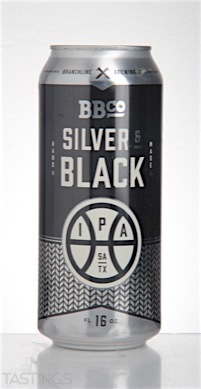 Branchline Brewing Company "Silver & Black" IPA rating was calculated by tastings.com to be 88 points out of 100 on 4/13/2016. Please note that MSRP may have changed since the date of our review.